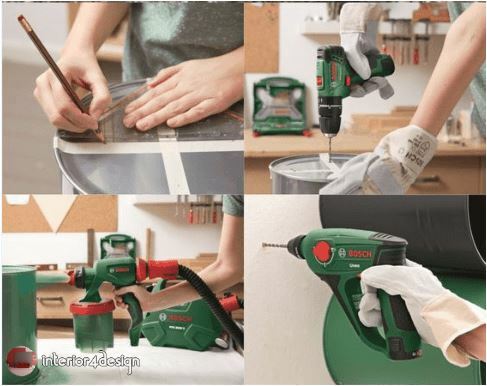 Some trifle and worthless things you don't think you could transfer it into a valuable tools! 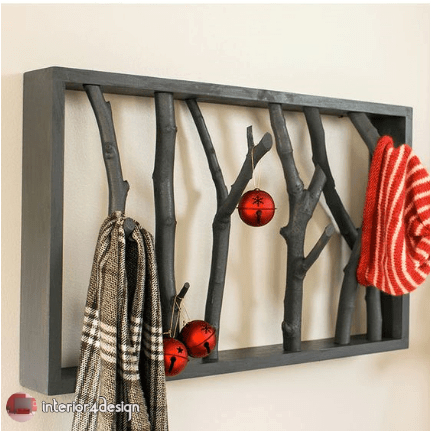 but with easy diy home decor ideas you'll be able to see the abilities of those stuffs in the around. 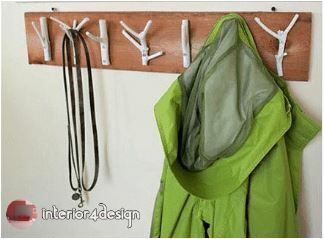 Many homeowners want to do some easy home-based ideas in their homes to make the house look like a place and put some additions into things that are not valuable to them, but many can not get these ideas and therefore do not do anything, but in this article we will clarify some Home ideas easy and simple, which you can work at home on your own of things that are corrupted and worthless and get out of them with the best result possible and beautiful, beautiful and attractive, and also a great benefit can be used. 1. The number of 4 rods with proportional lengths. 2. branches of trees with sprouts. 1. 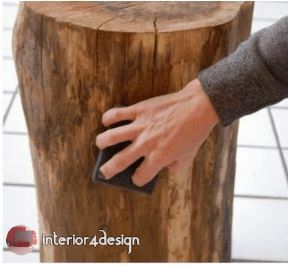 At first you clean the wood if it is old at home or used earlier. 2. Connect the 4 lumber to each other to make a square shape as shown in the picture previously. 3. 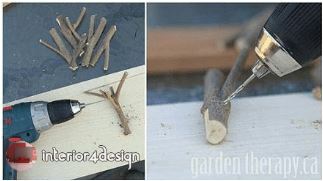 In this step we connect the branches inside the wood box that we made in the previous step, using the Schneur and fix the wooden branches from the top and bottom of the screws after the holes in the pinch allows the screw to screw so as not to break the wood. 4. 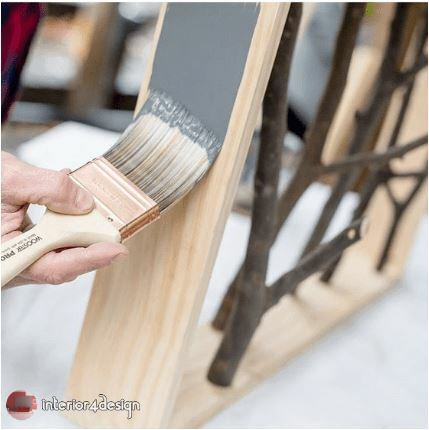 In this step we paint the wood and branches in the color we prefer as shown in the picture, and in the end we produce a beautiful, attractive, attractive and unusual garment pouch that can be used in the bathroom or any room as we want. 5. At the end you can decorate them by hanging some balls of different colors in them to make them more beautiful, as shown in the initial image. 2. Buckets of different sizes. 4. Automatic mechanism for knocking nails. 1. 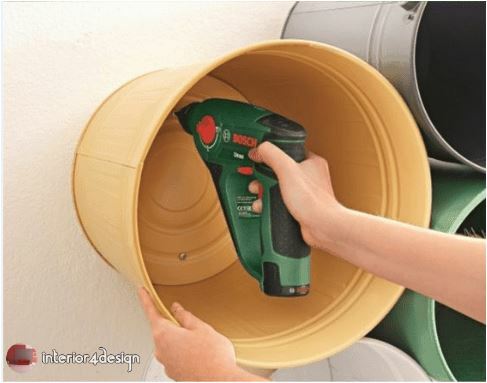 Start painting the bucket with your favorite color. 2. You specify the distances in the bucket base from the outside as shown in the picture to know where to place the nails in it and also in order to regulate the distances between it and others. 3. 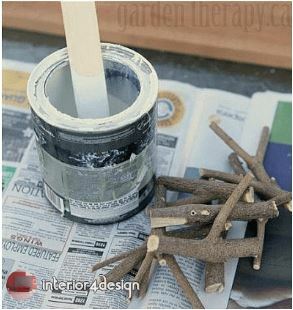 Locate the nails in the bucket and in the wall where you will be using the bucket, and then use the pin and make holes in the wall and bucket, and the spaces should be suitable so that you can hang the bucket in the wall and knock the nails inside. 4. 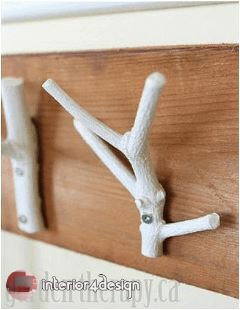 Attach the screws to each nail in the wall and then attach it as shown in the picture. 5. 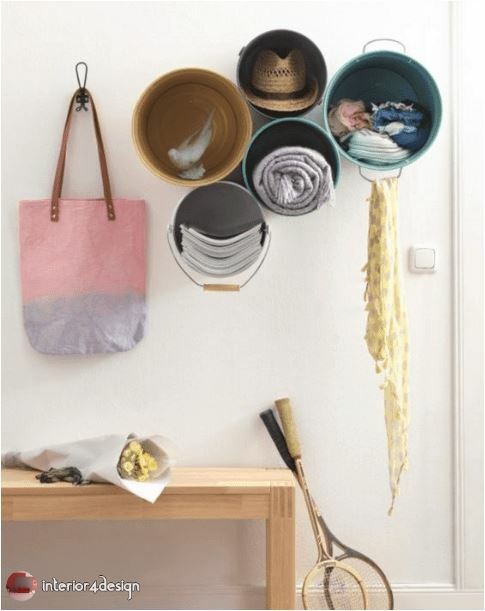 You can then use it to put your items in clothes, books, hats, etc. 1. branches of trees with a bearing as shown in the picture. 2. Paint your favorite color. 1. 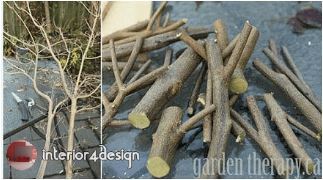 In the beginning if you do not have such branches and do not know how to get like them you can get large branches of wood and cut them with a sharp ax and the work of such branches that contain the emergence as shown in the picture. 2. 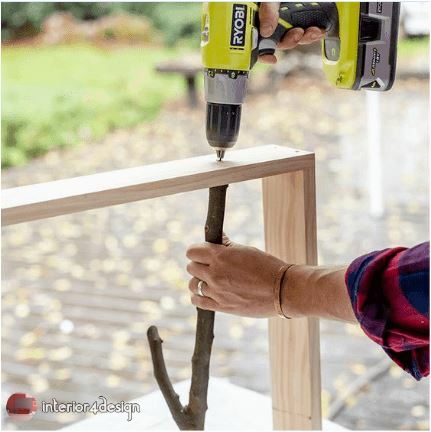 After getting the small branches you pierce small holes using the Schneur to be able to install on the wooden part or on the wall in the place you want. 3. In this step and after the piercing of the branches you paint it in the color you want or you can leave it as it is if you like the color of wood, but if you leave it leave a small period to dry, and then hang it where you want to hang it and then installed in this place With small nails so as not to break the branches as they are small and the gallery to break easily. 4. Then get your outfit and other clothes you can use at any time or in any room of the house. 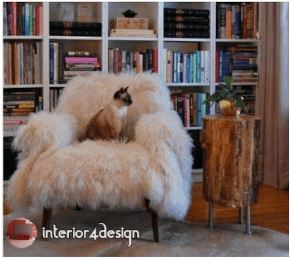 In this way you can work a small circular table of pieces of wood and its shape is wonderful and very attractive and without costs. 1. Piece of circular wood. 2. 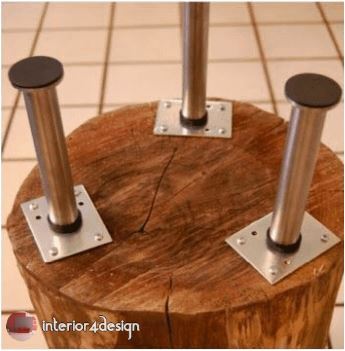 Iron legs to install at their base. 1. 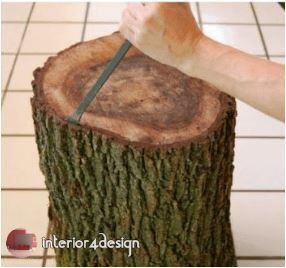 In the beginning you clean the tree from the outside of it by the jacquard and chisel as shown in the picture. 2. 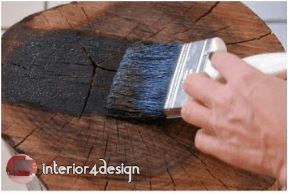 In this step after you remove the outer layer of the tree you clean it more by the schnapper in order to be painted and fixed paint on the right way and become more attractive form. 3. Then paint them from the top only or paint their entire as you like and you must choose attractive colors and form wonderful to become in the most beautiful form possible. 4. In the end, the heart of the piece of wood and the holes by the Schneur and then fix the iron legs by the nails, and in the end have been a small table was held beautifully and uncommonly.